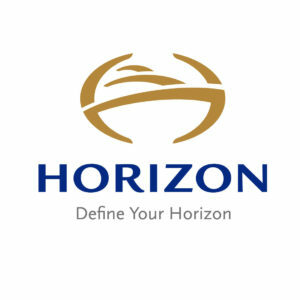 Since 1987, Horizon Yachts has explored new oceans and tackled new challenges, growing into one of the top 10 luxury yacht builders in the world and the #1 builder in the Asia-Pacific region. We have built and delivered over 780 yachts, including our flagship EP150 expedition superyacht, to owners around the world, unveiled innovative new designs, and expanded our Horizon family to offer sales and support to clients in 60 countries. The CC series, also known as our Custom Collection, comprises all custom projects that go beyond the models currently offered within Horizon’s luxury yacht collection. These custom projects are defined by the owner’s personal lifestyle and requirements, resulting in a completely bespoke luxury yacht that retains Horizon’s signature quality. Contemporary style lines, creative interior spaces, tremendous interior volume, and flexible cruising speeds – these are the core features of the new Horizon FD series. The first of its kind in Horizon’s luxury yacht collection, the FD series encompasses the ultimate in versatile displacement motoryacht design. Modern exterior styling characterizes the sleek RP series, with increased outdoor entertainment as one of the key features of these yachts. A variety of interior layout and design options are available, all of which include an interior pilothouse. A RP yacht is perfect for sun worshipers, Adventurous families and active cruising enthusiasts. A breakthrough in style and functionality, the V series offers a modern take on classic design, with fluid lines and flexible features such as an open or enclosed bridge and fishing cockpit. Featuring a 20′ 6″ beam, the V72 and V80 are built to be run by an owner/operator but can also accommodate crew, showing the true versatility of the series.